With the new cross season now in full swing competitors may have noticed some new faces officiating at the Tri-Centre sponsored Scottish Cyclo-Cross Series. Richard Reade, Jez Hastings and John Green have recently completed their Assistant Commissaire training and have been upgraded to Regional Cyclo-Cross Commissaires by British Cycling. Kathy Gilchrist and Guto Williams should be upgraded in time for the 2012 cross season. John is an experienced official and will be no stranger to cross riders who compete on the road and track, while Kathy makes a welcome return to officiating after a few years out. Given this influx of new officials, it is perhaps worthwhile considering what the role of the Commissaire entails at cycling events so competitors appreciate what is often a challenging but worthwhile activity. Your Commissaires represent Scottish Cycling, the governing body for cycling in Scotland, on race day and are easily identified by their distinctive grey jackets or fleeces. Commissaires ensure that racing is held safely and within the rules. Each event has a Chief Commissaire appointed by Scottish Cycling and is responsible for the sporting control of the racing. Depending on the level of event, one or more Assistant Commissaires are also appointed to support the Chief Commissaire. Preparation for race day is important and often the Chief Commissaire will have been in contact with the event organiser some weeks before to ensure that the course and supporting structures – first aid, obstacles, equipment pits and the start/finish areas – will all be in place and are within the regulations. The Chief Commissaire will also have walked the course with the organiser prior to the event to get a ‘feel’ for what will happen on race day. While many competitors may often only turn up an hour or so before their race and leave soon after, the Commissaires are often on site much earlier and leave later when all matters arising from the day’s racing have been discussed and any issues concluded. 8-9 hour days are not uncommon. 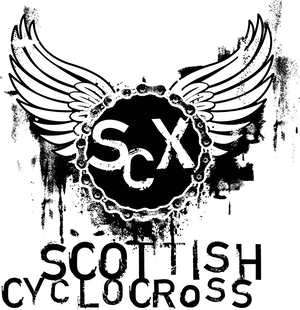 After racing, a report of the event is completed by the Chief Commissaire and submitted to Scottish Cycling. If there are any incidents that have required first aid treatment or involve third parties, a separate report is also required in case there may be a claim made against the event. The sporting control of an events covers a range of activities from ensuring that sign on is efficient, the races all start on time, equipment pits are in the most appropriate place and that the regulations for the discipline are adhered to. This often means moving about the course, observing the racing at various locations, responding to incidents as they occur or making changes to the course if required. By signing-on competitors are accepting they are competing under Scottish Cycling rules of racing so sporting control is also about monitoring competitor behaviour for cheating, poor conduct and ensuring that racing is conducted in a safe way. In most events there are no problems with often close and keenly fought out racing. If infringements do occur then competitors can expect that a penalty. However, with only two Commissaires appointed to Scottish Cyclo-Cross series events, officials cannot be everywhere at the same time. Competitors are thus encouraged to approach Commissaires if they feel something has happened that breached the regulations or compromises safety. full day or several evenings which will qualify candidates as Assistant Commissaires. To upgrade to Regional Commissaire (where you can be in charge of an event) requires working at a minimum number of events gaining practical experience of the job. Further, while many officials may only choose to work at local events, Scottish Cycling’s Commissaires Commission works regularly with British Cycling to provide opportunities for Scottish officials to upgrade their qualifications and gain experience at National and International cycling events, so you never know where you may end up!